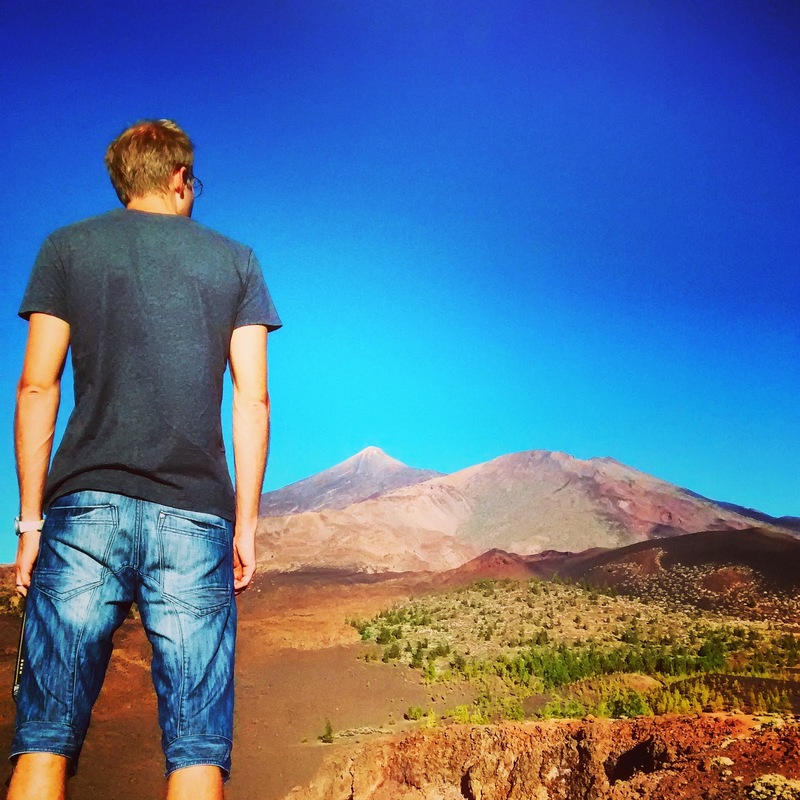 This cute little volcano is only a short drive away from the Parador de las Cañadas del Teide. Even though it´s relatively close to Teide it is completely different as its sides are smooth and its crater is an almost perfect circle. I´d never been on a crater before so I found the experience very special. The walk up to its crater is very easy and only took about 15 minutes although there’s a well-marked walk of 2.5h if you feel up for it. 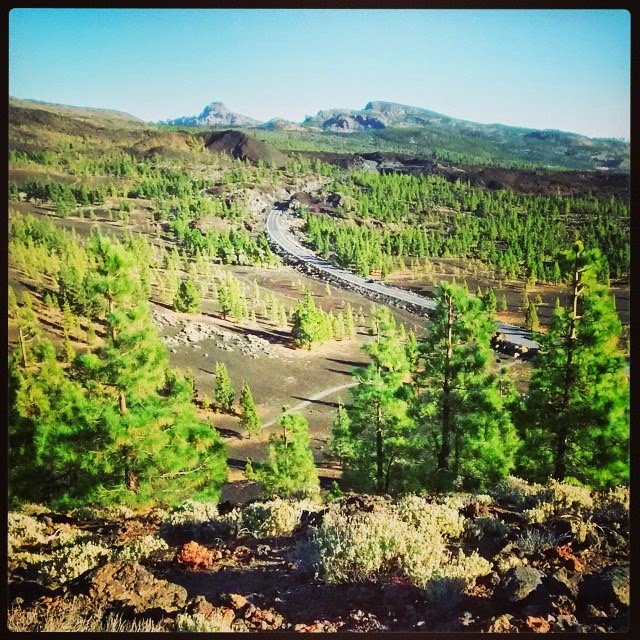 I found the landscape very special as the whole area is covered with black volcanic sediment, cinders and lava rocks. The bright green of the pine trees scattered around the sides of Sámara looked very striking. When you finally get to the top and look around the view will take your breath away. On one side we saw the sun slowly making its way down, giving long shadows over the pine trees and lighting up the top of the clouds. In the background the island of La Gomera looms thousands of feet below you. On the other side we saw the other two volcanoes, Mount Teide and Pico Viejo. Standing on one and looking over another two mounds of rock and lava gives you the feeling of looking ‘behind the scenes’ of nature’s work. Priceless. To get to the starting point just follow the TF-38, you will find it around the 8km mark.